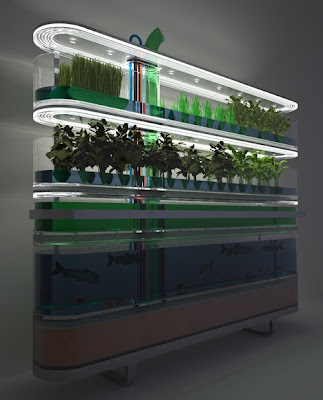 Revolution Greens: Vertical Farms: Could it work? "People are increasingly concerned about how their food has been manipulated and processed, genetic modification, global shortages, environmental degradation through monoculture, the distance food travels before reaching their plates and many other related issues," says van Heerden. "One way of addressing such legitimate concerns is to source the food yourself by having a biosphere in your living room."